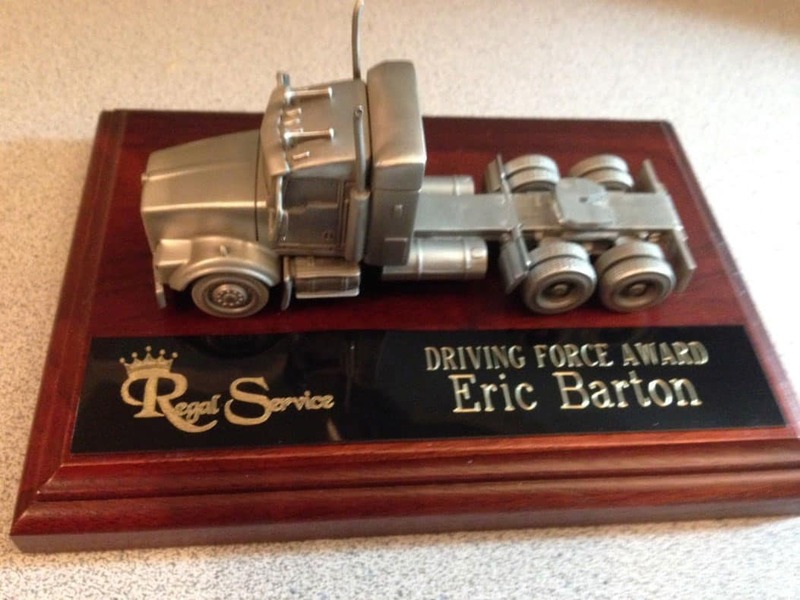 Beginning his Regal career in August of 2000, our newest Driving Force Award honoree concentrated driving effort focused on local and regional support. He is and has been Regals “go to guy”. 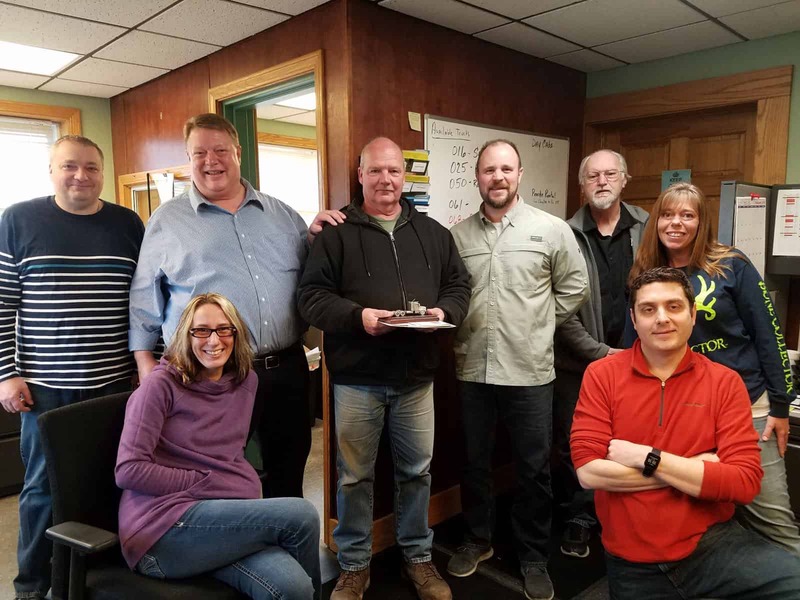 Based on “normal” weekly activity, Regal’s Safety Department calculated on an 18+ year basis, Eric moved approximately 54,000 trailers/ocean containers, traveling over 600,000 miles including a 12 year safe driving record. Knowledgeable, positive, professional, blunt, patient, determined and extremely reliable. Like the majority of past Driving Force winners, would prefer to just do his work, then gain any attention.